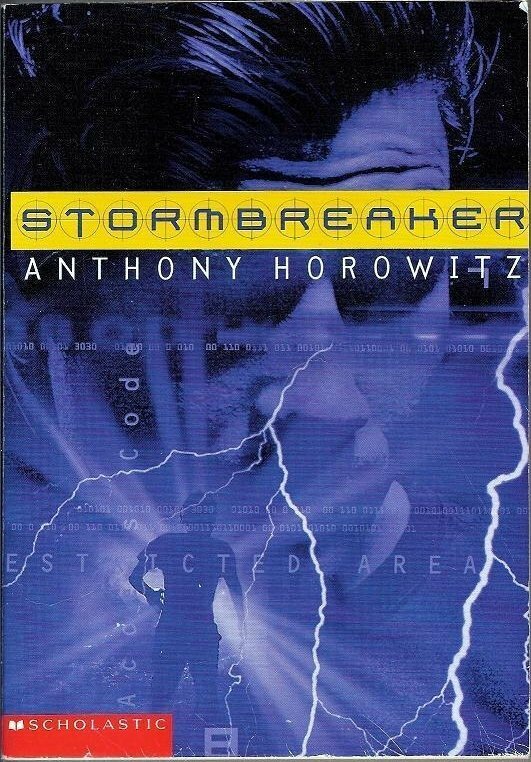 Stormbreaker. Alex Rider's world is turned upside down when he discovers that his uncle and guardian has been murdered. The 14-year-old makes one discovery after another until he is sucked into his uncle's undercover world. The Special Operations Division of M16, his uncle's real employer, blackmails the teen into serving England. Alex Rider's world is turned upside down when he discovers that his uncle and guardian has been murdered. The 14-year-old makes one discovery after another until he is sucked into his uncle's undercover world. The Special Operations Division of M16, his uncle's real employer, blackmails the teen into serving England. After two short weeks of training, Alex is equipped with several special toys like a Game Boy with unique cartridges that allow it to scan, fax, and emit smoke bombs. Alex's mission is to complete his uncle's last assignment, to discover the secret that Herod Sayle is hiding behind his generous donation of one of his supercomputers to every school in the country. When Alex enters Sayle's compound in Port Tallon, he discovers a strange world of secrets and villains including Mr. Grin, an ex-circus knife catcher, and Yassen Gregorovich, professional hit man. 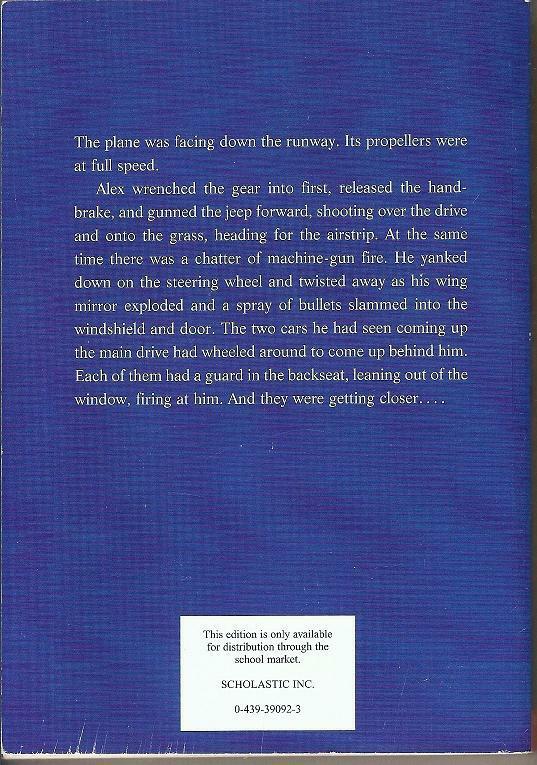 The novel provides bang after bang as Alex experiences and survives unbelievably dangerous episodes and eventually crashes through the roof of the Science Museum to save the day. Alex is a strong, smart hero. Condition: very good, edge, shelf wear. Has sticker of bookstore owner on inside. Scanned images.